Most things we learn in life we learn from others, even things that seem impossible to accomplish. 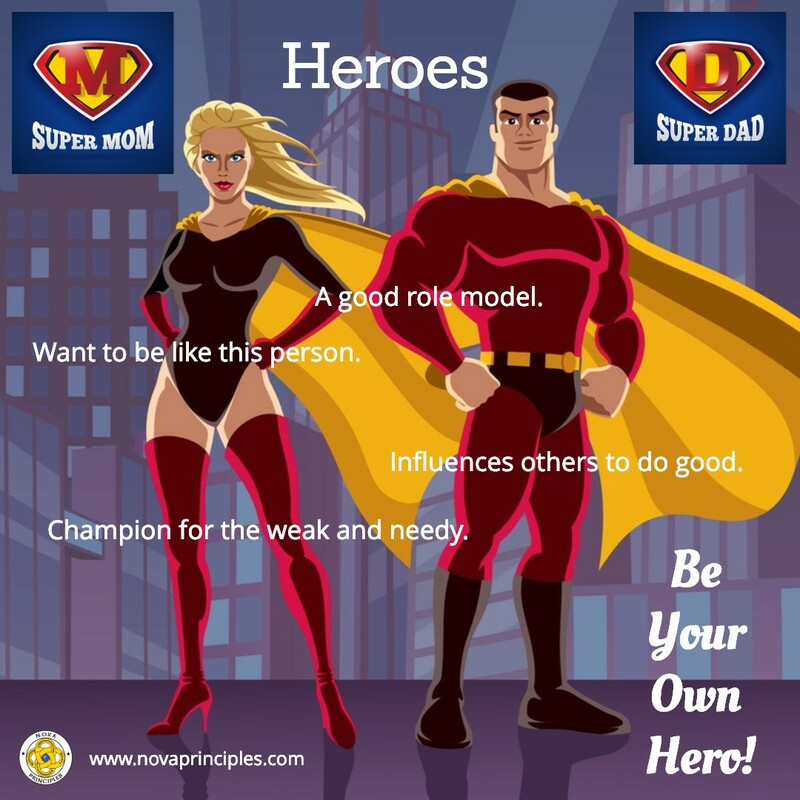 Heroes can lead, teach, and help us become the most successful person we can be, because we can see the successes in their life which we can follow. Two new N.O.V.A. Principles are taught in this lesson, namely “Knowledge is Potential Power” (Using knowledge gives you power), and the “Boiling a Frog Analogy (When do you know you’re a boiled frog? When it’s too late.) Principle. Students are encouraged to memorize these Principles as they become new N.O.V.A. Challenge questions. The “Knowledge is Potential Power” Principle teaches students that knowledge in and of itself does not make a person the most successful person that they can be. Instead, it is by using knowledge that gives a person the power to become successful. In other words, a person can have all of the knowledge in the whole World, but unless they use that knowledge, they will not have any power. From this Principle, students are encouraged to use the knowledge, tools, and principles taught in the N.O.V.A. Program to help them get to their path to excellence and success. The “Boiling a Frog Analogy” Principle teaches students that there are many harmful and dangerous things in this world that might not seem too harmful or dangerous at first, but over time however, they can have a Boiling a Frog Effect on a person and become very harmful and dangerous. Good examples of this are: Drugs like tobacco, alcohol, marijuana, etc. ; Lying; Stealing; Cheating; Bullying; Joining a gang; Etc.. Students are encouraged to stay away from things that can have a Boiling a Frog Effect on them.